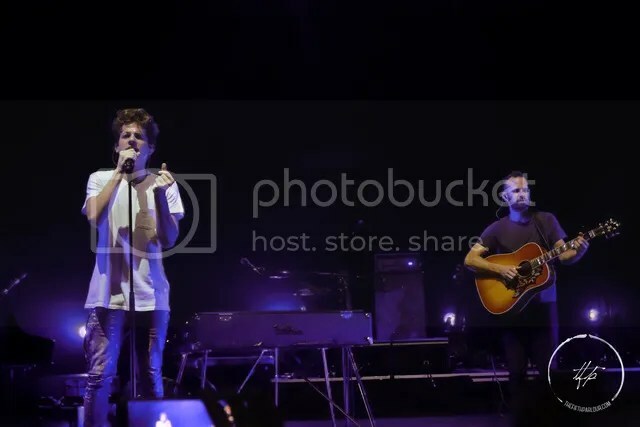 The Coliseum at The Hard Rock Hotel was abuzz as it was packed with fans anticipating Charlie Puth’s first ever show in Singapore. The singer-songwriter was in town as part of his Nine Track Mind tour. 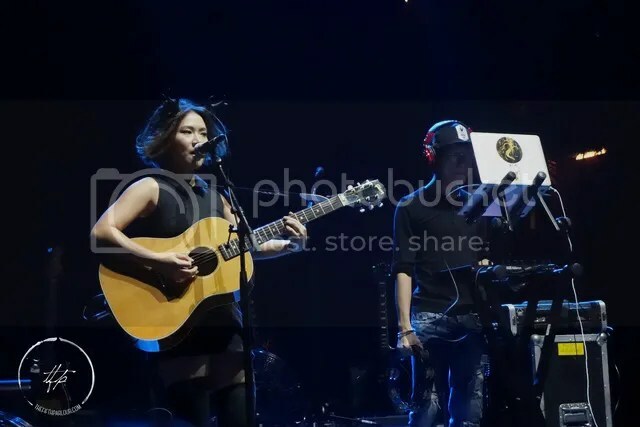 The evening kick-started by homegrown singer Inch Chua, who led the crowd in a light-hearted set featuring songs from her albums, including her latest offering Letters to Ubin. Peppering her short set with stories about her writing process while on Ubin, Inch got the crowd going as she had everyone singing along to her song Mouse Deer. It wasn’t before long before Charlie showed up on stage to throngs of screaming fans, many of whom had been queuing up for hours for this moment. 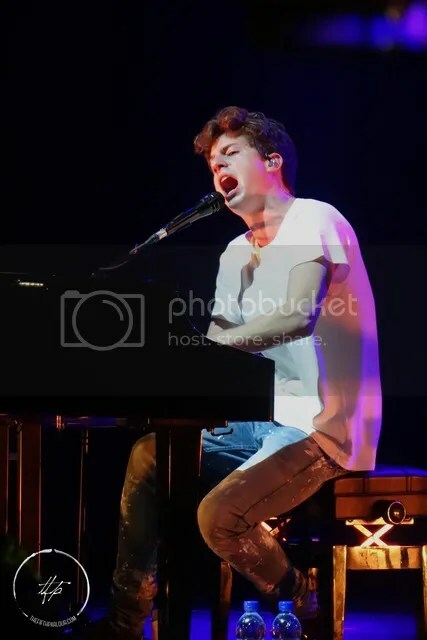 Dressed casually in a white t-shirt and jeans, Charlie sat himself down at the piano and opened the show with one of his hit songs, Marvin Gaye, which features Meghan Trainor. Though visibly jetlagged from his long flight to Asia from Los Angeles, Charlie still managed to put on a great show, even acknowledging and reciprocating the love from his adoring fans in the crowd. ‘I love you too!’, he would shout back into the crowd, smiling and clearly enamored at the outpouring of support even on this side of the world. This being Charlie’s first tour in Asia, he also spoke about his fascination with the availability of noodles at the breakfast buffet and even made up a song about noodles on the spot. Well well, if that isn’t talent! 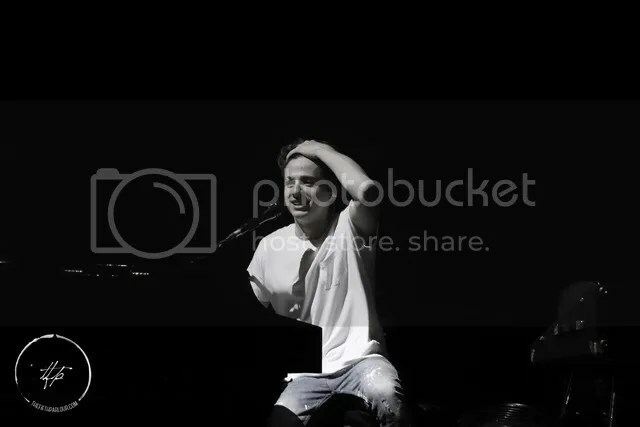 Going between the grand piano, keyboard as well as breaking it down acoustically on some of the songs, Charlie put on an outstanding show, proving why he deserves all the success he’s had over the last couple of years. Some of the fan favourites included songs like Dangerously, Then There’s You, We Don’t talk Anymore and of course the hit that everyone knows by heart now, See You Again. Cheers echoed through the venue, everyone passionately singing along word for word. A true talent, Charlie is one of the rare artists who outdoes themselves in a live setting and if even possible, is even more enjoyable live than on record. As the saying goes, time flies when you are having fun and indeed it did. And now would be just the perfect time to put on See You Again. Here is to hoping Charlie graces our sunny island again sometime!